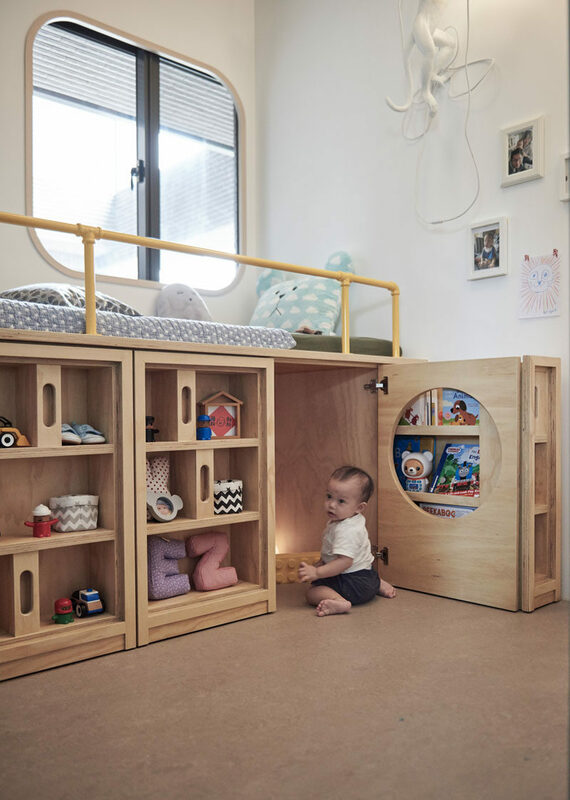 As part of an apartment renovation for a family with a young child, design firm HAO Design, created a children’s bedroom with a custom-designed bed that encourages the child to put their things away after using them. Before we have a closer look at the bed, another noteworthy design element is the door to the bedroom. A small child-size door has been included in the design of the door, enabling the child to enter their room without the help of an adult if the door is closed. Once inside, there’s a wall painted in blue chalkboard paint, that allows for creativity. The design of the custom bed reaches from one side of the room to the other. Steps with hidden storage lead up to the bed that’s positioned so that the child can easily look out of the window. Underneath the bed, there’s bookshelves that have little handles, so that the child can pull the handles to reveal small closets and shelves to hang clothes on or store toys and books. 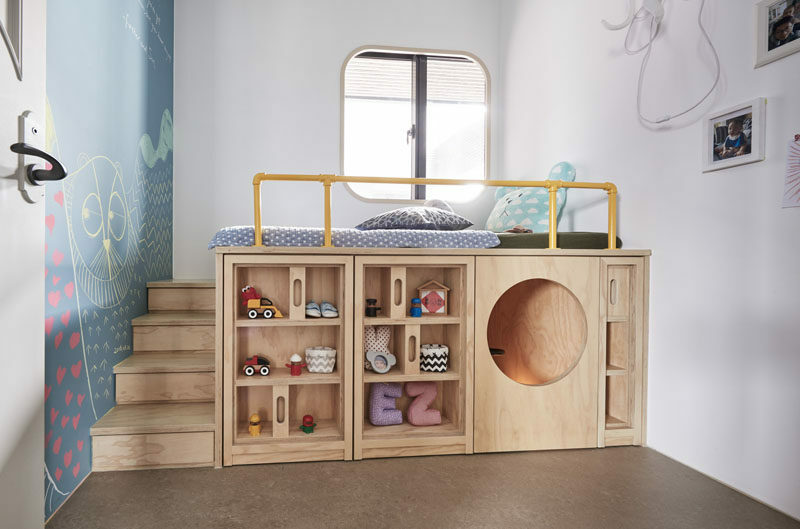 Hidden within the custom bed and located behind a small door with a round window, is a cubby that becomes a small private play area for the child.